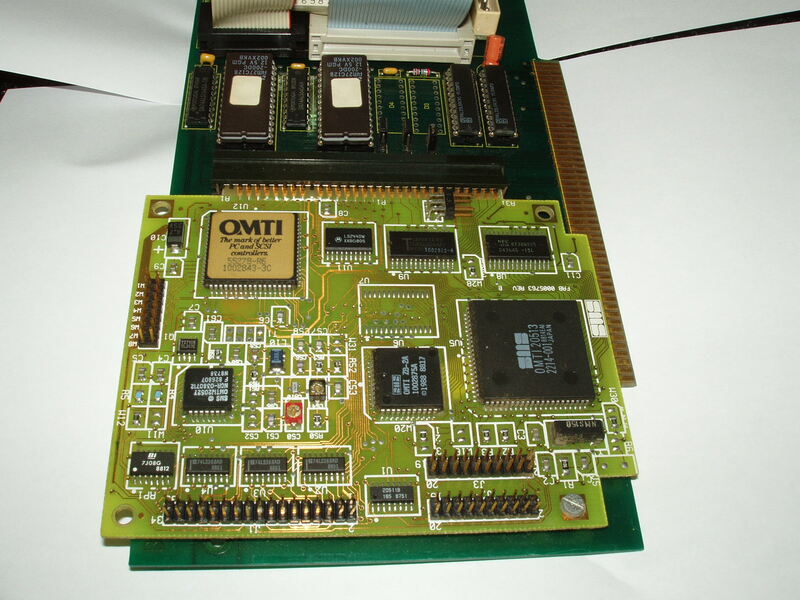 The OMTI 5527 card is an 8 bit RLL HD controller. The host Amiga card that it plugs in to may have been made by PreSpect Technics in Montreal Canada. 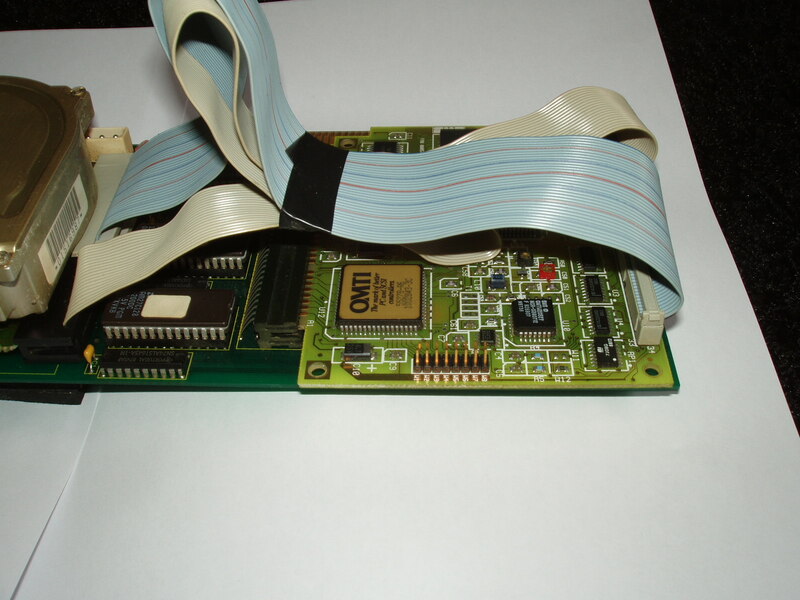 The Omti board is a PC MFM/RLL disk controller (the split cable to the drive is the significant feature - the drive model will give away the type of interface it is) for an XT ISA bus, and the AlComp (maker assumption on my part) is just a glue logic board between Amiga Zorro bus and a PC XT bus. Many SCSI controller chips, i.e. 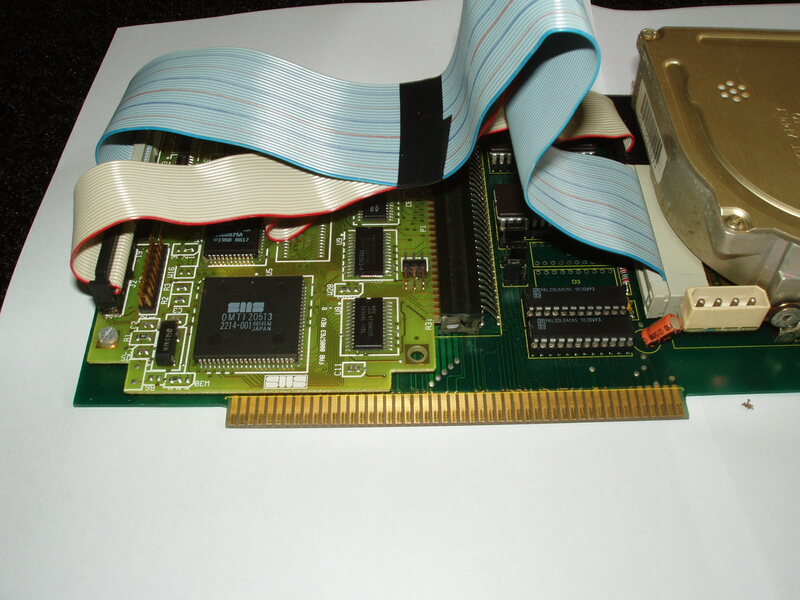 - the WD33C93-series, the 8-bit NCR's, and others, are chips that were designed to sit directly on the XT (or original ISA) 8-bit bus. 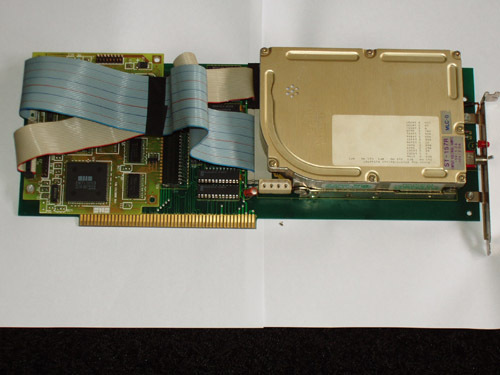 An XT MFM or RLL PC controller would present a very similar interface. 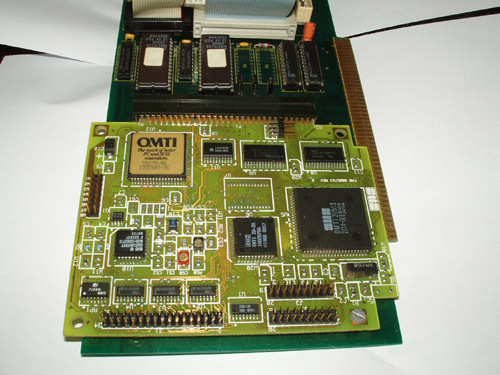 The commodore DMAC, and the GVP DPRC, are high performance DMA (for Zorro II) interfaces to an 8-bit PC-XT port, in which off-the-shelf parts can be easily connected to it with minimal additional logic. The GVP I/O Extender is a perfect example - dual serial and single parallel in a chip were simple 8-bit interface chips on the market. Minimal other chips needed. Page contributors: Jeff, Remond Roskamp, Robert Miranda (GVP Tech Support).